Located in the south part of Mexico right next to Guatemala, Chiapas is renowned for steep mountains, rainforest and Maya archeological sites. A humid and tropical weather dominates the region and a wide variety of indigenous communities who have stood the test of time. As you might have expected, tourism is also important to Chiapas with so many historical sites scattered throughout the region. 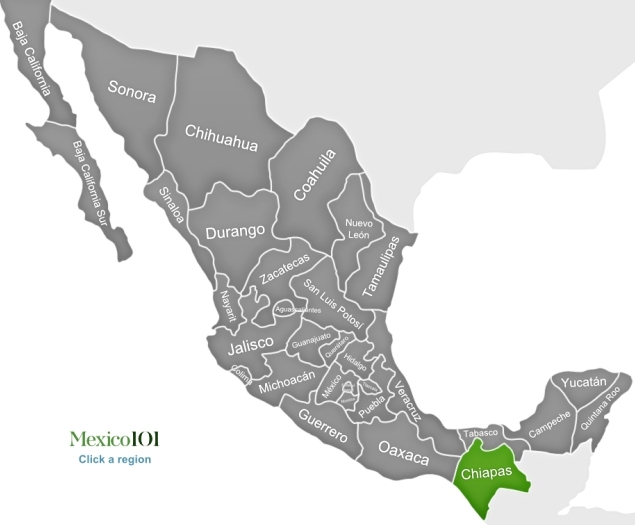 As mentioned above, Chiapas is in the south but it does border a number of other states including Veracruz, Oaxaca and Tabasco. Running alongside the Pacific, the coastline of Chiapas is a stark contrast to the highlands which boast dense rain forest infused with many oak and pine trees. More people tend to migrate from this region today rather than arrive but it still holds 4.5 million in terms of population with the majority living in rural areas, the result of a strong presence for agriculture. 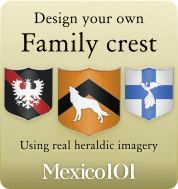 Down through the centuries, three main groups of indigenous peoples were to be found in the region; the Mayas, the Mixes Zoques and the Chiapas. There are more than fifty different languages amongst these tribes and most of them can be found living in either San Juan Chamula or San Cristóbal de las Casas. The colorful nature of their culture can be found in the traditional clothing which is common and this has helped to maintain the identity of the region.While Chiapas continues to receive many refugees from nearby regions, it still has a majority of Christian peoples, a remnant of Spanish colonial times. Chiapas is probably best known for the huge variety of ancient ruins which were built by the Maya peoples. These include Bonampak which has some incredible murals, Toniná which is home to the Acropolis and the enchanting ruins at Yaxchilán. All of these ruins are fascinating and date back to 5500 BC. Energy is important here but as you would expect, fertile lands have given way to a strong presence of agriculture in Chiapas and more this, along with forestry and fishing, account for more than half the employment in the region. It does fall short next to almost everywhere else in Mexico but many crops such as beans, cacao, mango, corn and coffee keep the region afloat, while handicrafts are also popular with tourists. Colonial cities, culture and Mayan ruins are the reason for such a prosperous tourism industry in Chiapas and this is one area in which it does excel. In fact, Chiapas is home to more than 400 hotels and almost one thousand service related businesses who cater towards the travel industry.